Natural Stone Projects has recently completed a project on a contemporary private 9 bedroom villa on the island of Ibiza. We supplied all the stonework, some 850m2 in total, internally and externally. This Ibiza stone project required bespoke finishes and sizes for all the tiles and cladding in a range of our cream limestones. Special features for the master bathroom included a tile pattern of 13 different sizes in 3 different stones. The stones have different textures. This pattern was repeated in the entrance hall and on the exterior paving. A contrast to the white limestone was provided in the master bathroom with 2 carved basins in a special selection of black Magma Basalt. The basins had channels carved underneath to accommodate hand made steel brackets and allow the basins to appear freestanding. The main feature of the master bathroom is the free standing wall at 2,5m tall x 1.25m wide and 20cm thick. 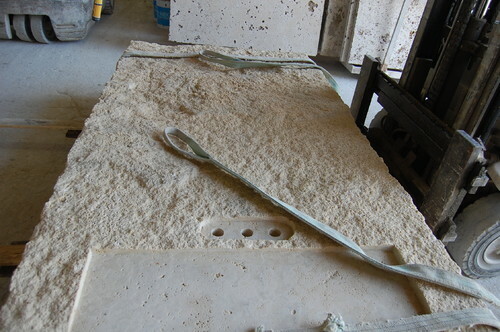 The wall was carved from a solid block of travertine with a split face surface and had smoothed areas created for the bath and taps to fit snugly into. 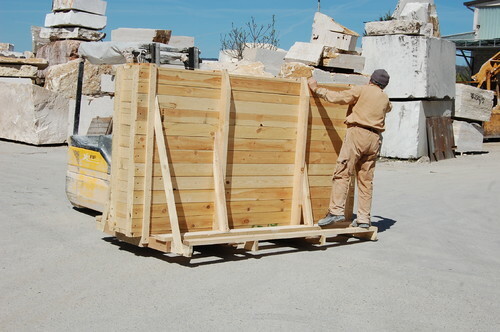 The project required co-ordination of stone arriving from 6 countries and arriving safely and on time, in several shipments, to Ibiza. 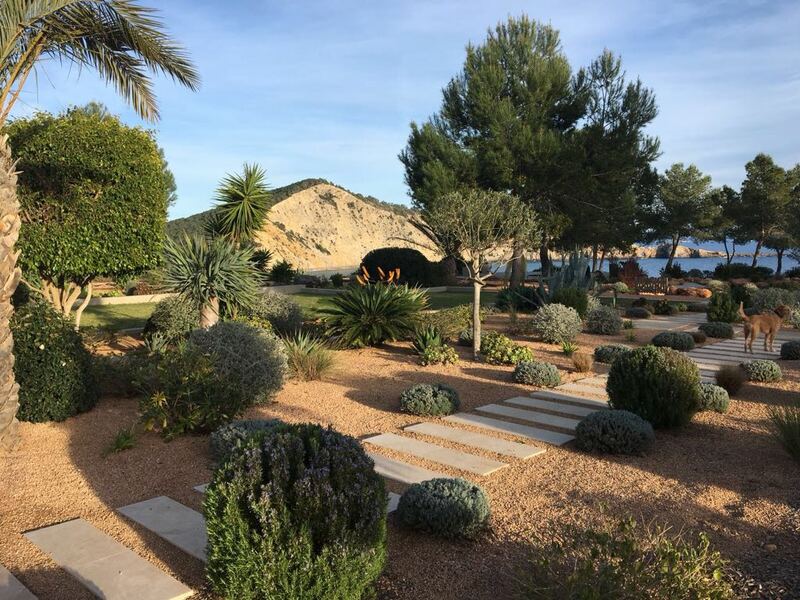 We worked closely with the designers, architects, our network of quarries and transport company on the Ibiza stone project to ensure the best results for the client and meet the required deadlines.